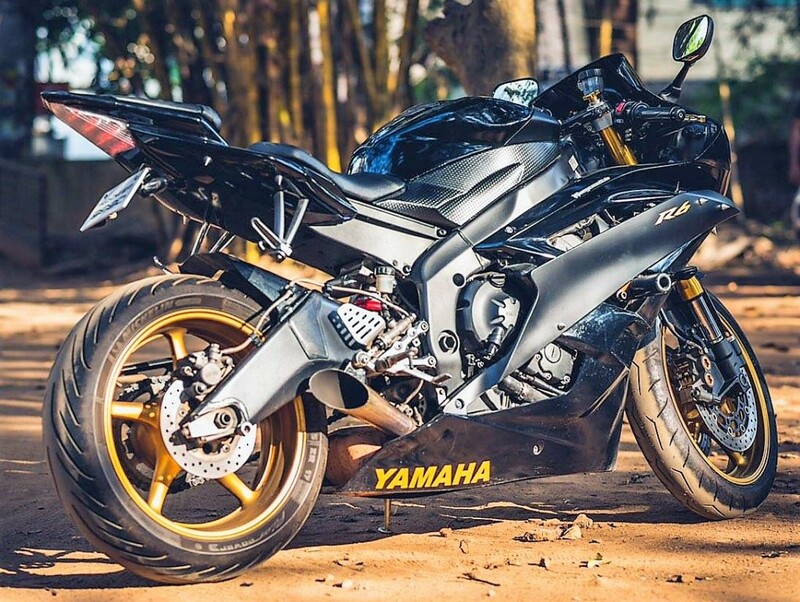 Yamaha R6 recently got itself a 2017 version that is highly inspired from the R1’s design language. 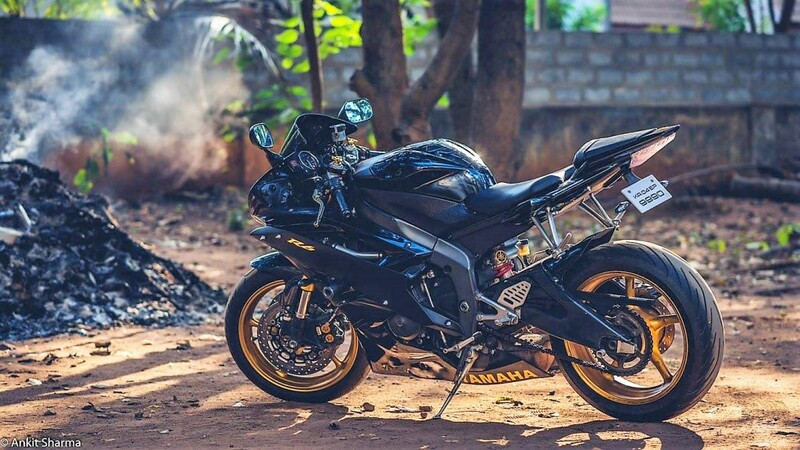 Most Yamaha fans were happy with the move while some were feeling nostalgic about the loss of the twin headlight design. For those who feel the loss, Wrapcraft brings one very impressive example of the older model, perfectly finished in Gloss Black/Matt Black and carrying Golden bits for that head turning enhanced appeal. Prominent places where Golden can be found includes the 5-spoke alloy wheels and front suspension of the motorcycle. 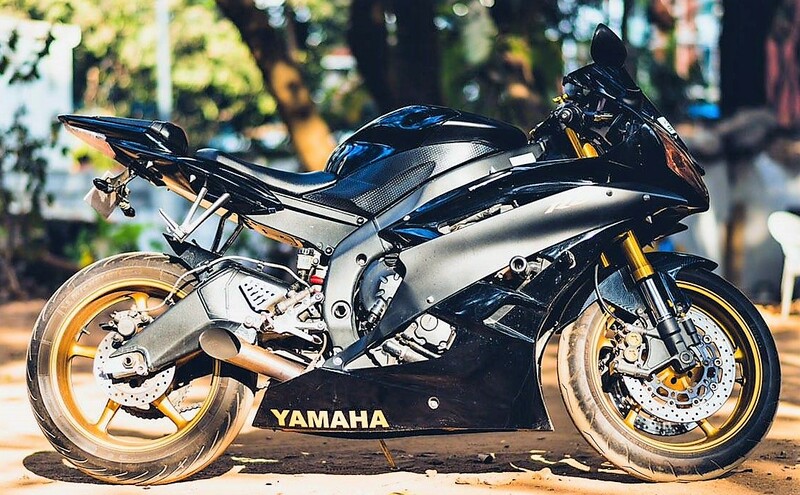 The Yamaha moniker on the lower body panel is even carrying the golden finish. The top section of the fuel tank carries Gloss finish while the lower half and upper side fairing comes in flaunts Matt Black with pride. You can even notice the custom free flow exhaust and frame sliders on the side profile. 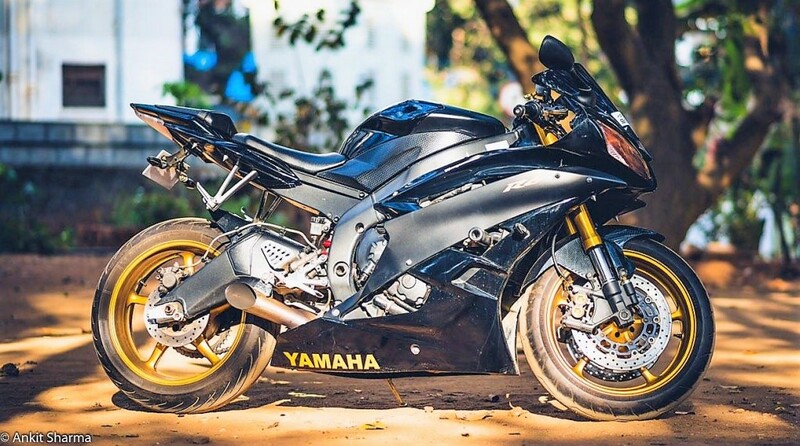 What makes this Yamaha highly appealing is its sharp taillight design and familiar twin front headlights. 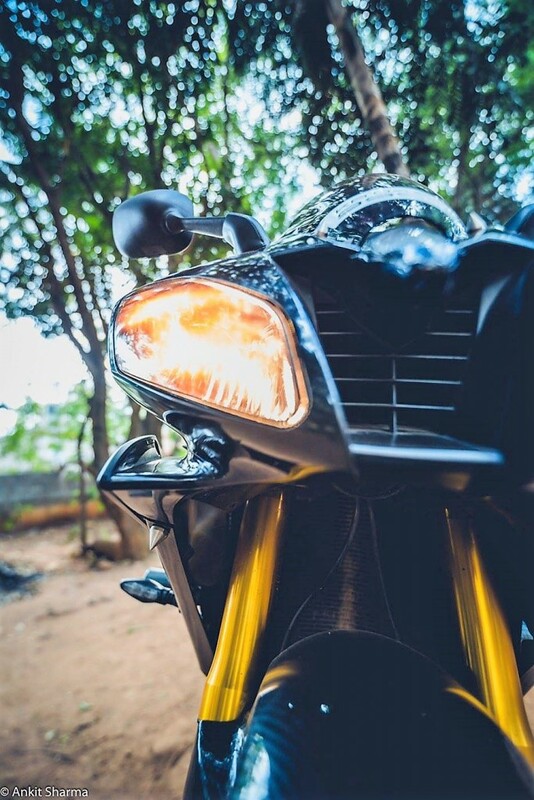 The front facial aesthetics can now be seen in the 2017 Yamaha R15, carrying the same center air intake and two LED headlights in the surroundings. 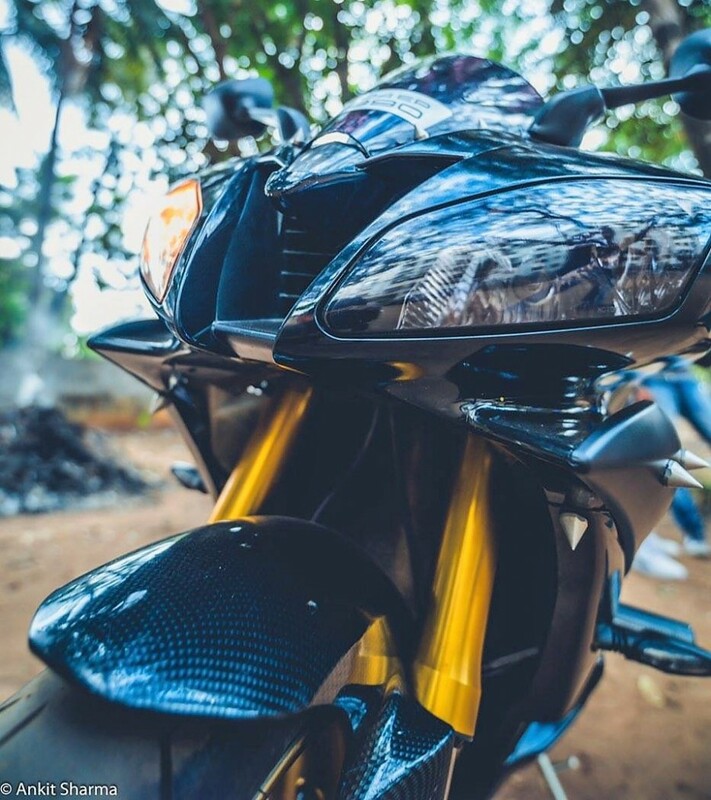 The front fender on this R6 gets carbon fiber finish for that premium appeal. 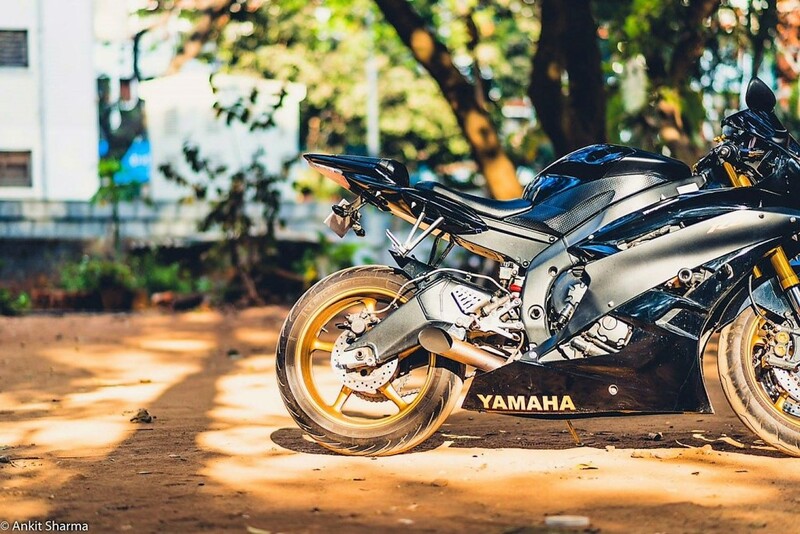 Yamaha never launched the bike in India but fans are always willing to import one into the country. 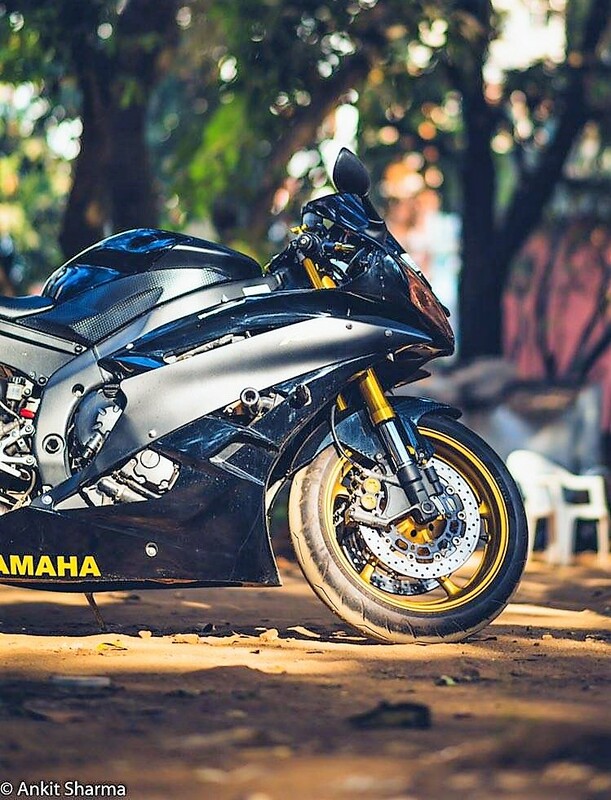 This typical Yamaha R6 is powered by a 599cc, 4-cylinder engine producing 122 BHP at 14500 rpm and 64.7 Nm at 11500 rpm. It comes mated to a 6-speed gearbox and claims top speed of around 260 kmph. 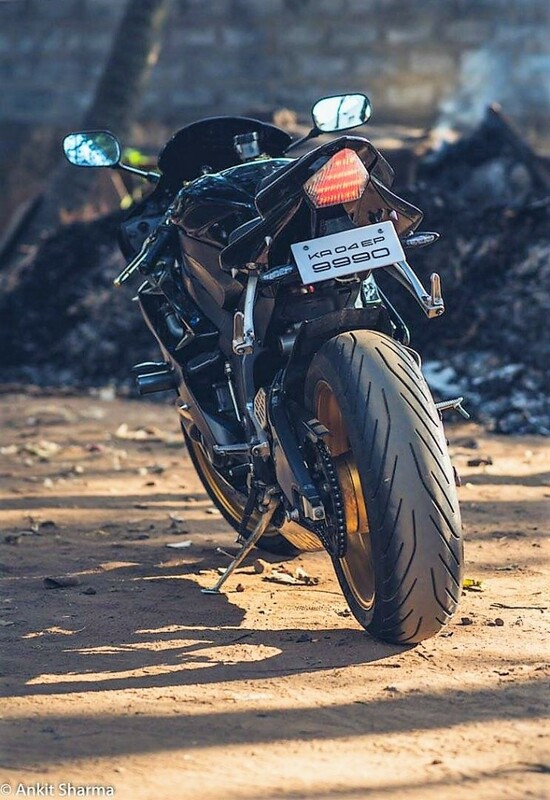 The bike weighs less than 190 kg in the current state and rivals Suzuki GSX-R600, Kawasaki ZX-6R and Honda CBR600R internationally. Indian motorcycle market focuses more on liter class performance motorcycles for sale.